Before baby cookingfanatic, I used to like recipes you could make from scratch in less than 15 minutes. Now I like recipes I can prepare ages in advance, which don’t involve standing over a pan in a panic at the end while baby cooking fanatic hangs off my trousers demanding food. It actually works best for entertaining too, because you can be with your guests making witty small talk, rather than emerging sweaty from the kitchen with dinner. This recipe is from bbcgoodfood. You make a marinade in the food processor and marinate the chicken for as long as you want (within reason!). I just did an hour though. 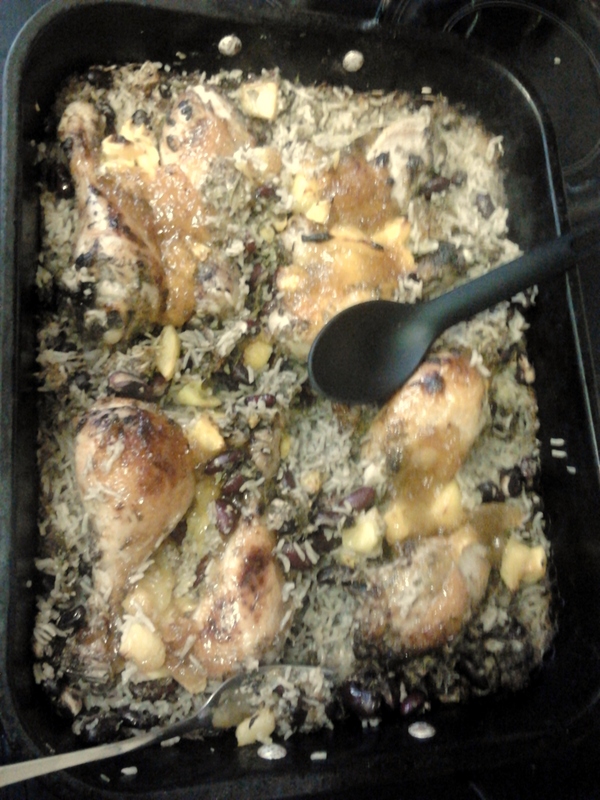 Then everything goes in a roasting tin – rice, kidney beans, chicken, stock – and cooks for about an hour, adding mango chunks halfway through. You serve with mango chutney and coriander. 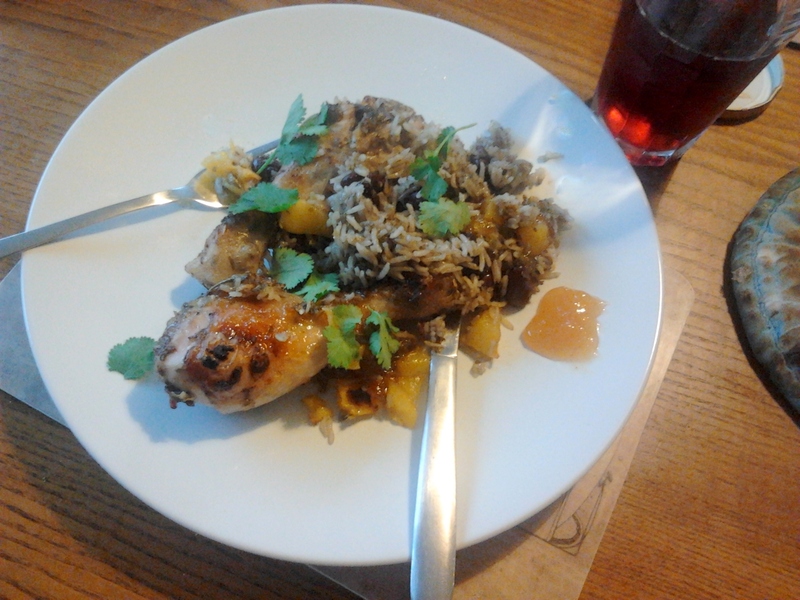 I used fresh mango, but I reckon you could get away with tinned – it would just be a bit softer. The huge bonus is that (as long as you do the marinade in advance, and wash up from that) you only have the one roasting tin to deal with and wash up afterwards. You could easily double the recipe and have two trays in the oven. It looks quite attractive in the tray (less so on the plate), and the flavours are great. You could eat left-overs cold for lunch the next day, as a sort of rice salad.